In most states, nonprofit organizations that solicit charitable donations nationwide are required (barring any applicable state-specific exemptions/exceptions) to register with state charity offices, pursuant to state Charitable Solicitations Acts. For the 40 states that generally require some type of registration, the trigger point is donation solicitation. It does not matter from where the solicitation originates or the form of solicitation used – direct mail, telephone, email, events, personal contacts and grants, etc. – but rather the act of asking for a charitable donation itself. Some states do have a monetary threshold whereby registration is only required if donations exceed a minimum dollar amount. California has no monetary threshold, even small charities that raise little or no money must register, while charities soliciting in New York must register if donations exceed $25,000. Many states also exempt certain types of nonprofits from registration, such as religious organizations, educational institutions and hospitals. In those cases, registration is either not required or state approval is required before the exemption is applied. The due diligence required for determining registration requirements is a difficult task for nonprofits, especially when soliciting donations nationwide. This is only further complicated when organizations receive a substantial portion of their donations online. Does A ‘Donate Now’ Button Mean Charitable Registration in Every State? Unfortunately, like many areas of law, there is no easy answer. And before we go further, let me confirm that I am not an attorney and I am not providing legal advice. Some argue that a ‘Donate Now’ button constitutes an indirect solicitation and therefore requires nationwide charitable registration. Others see it as a passive conduit that merely facilitates a charitable donation, thereby not requiring registration in any state. These are the ‘black’ and ‘white’ answers on this issue, both of which are inaccurate in my opinion. The reality is that we live in a gray world and for this question, in particular, a world that requires state-by-state analysis of statutes and regulations, and consideration of specific activities by charities vis-à-vis their ‘Donate Now’ buttons. Fortunately, some states have started weighing in clearly on this issue. Examples of this can be found in Rule 10 of Colorado 8 CCR 1505-9 and Tennessee 1360-03-01-.07. In these states, registration is required when an organization surpasses certain thresholds based on a total number of and/or total amount of online donations received from the state. Most states have still not clearly answered this question, leaving it up to knowledgeable laymen and professionals to make ‘best-efforts’ determinations based on internet era issues using 30+ year-old state statutes – and The Charleston Principles. In 1999, a group of attorneys and state officials known as NAAG/NASCO (National Association of Attorneys General and National Association of State Charity Officials) gathered in Charleston, South Carolina to attempt addressing this challenge. The results of their efforts are guidelines we know today as The Charleston Principles. A website that is used to make charitable solicitations. Sufficient fundraising contacts with state residents, whether through the website or by other means. Specifically targets state residents for contributions. Receives substantial contributions from state residents on a repeated and ongoing basis using website solicitations. This flowchart may help clarify how these guidelines apply to your organization. Keep in mind that this is merely scratching the surface of nonprofit compliance in the digital age. 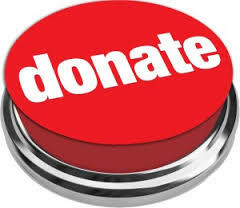 For more thorough coverage regarding the need to register pursuant to state charitable registration statutes, please refer to Nonprofit Fundraising Registration: Nolo's 50-State Digital Guide, a comprehensive resource on all matters of state charitable registration.